Steven Beaumont began his career as a small forward with good evasive skills and a sense for the goals. 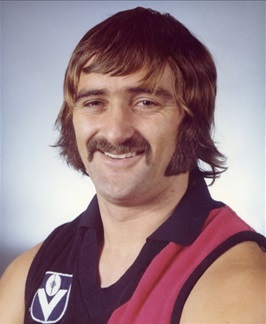 He joined Cooee in the late 1960s and emerged in the early 1970s as one of their best players. Recruited by Essendon, he continued to perform at a high standard. Upon his return to Tasmania, Beaumont continued to serve north-west football for many years as a dangerous forward in a golden era for Cooee. He can lay claim to being the Burnie/Cooee football clubs’ most decorated and prolific forward in their combined histories.